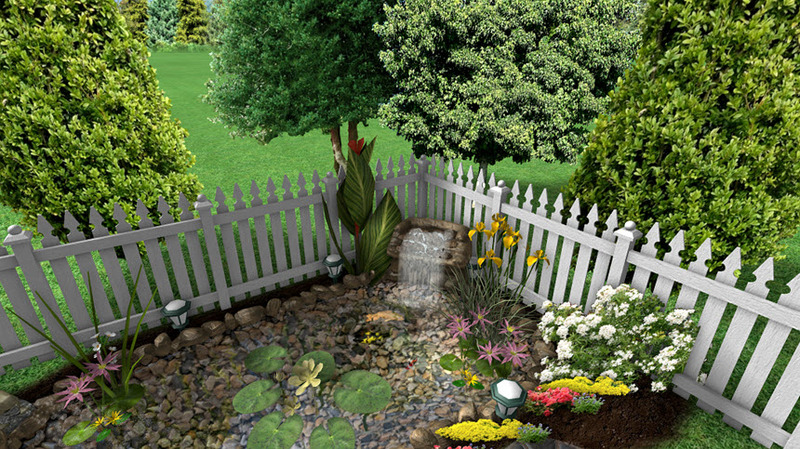 This guide will show you how to add a waterfall to your landscape design. 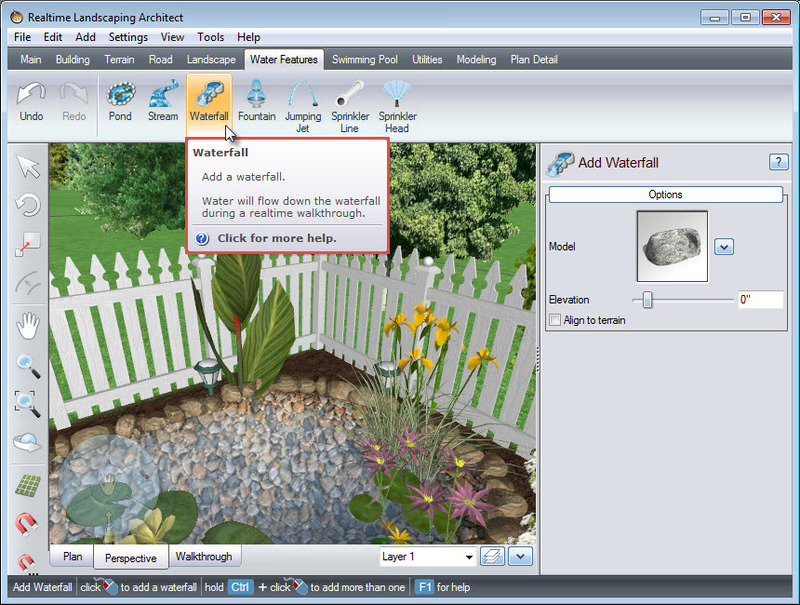 First, click the Water Features tab, then click the Waterfall button. 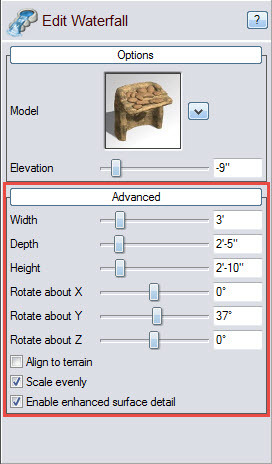 To choose the type of waterfall, click the following model image and it will take you to a selection of different styles. 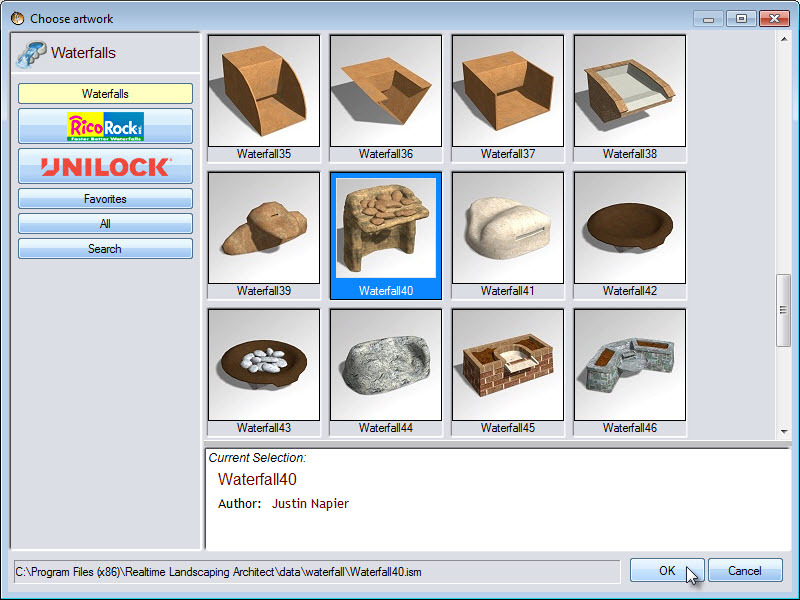 A dialog box will appear with a variety of waterfall styles, including some from national brands, Rico Rock and Unilock. 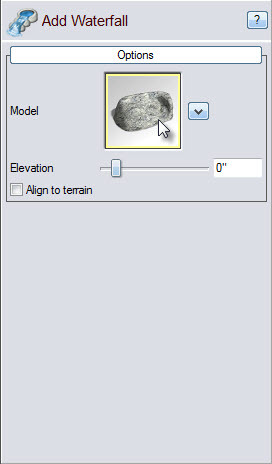 Make your selection, and then click OK.
Left click to place the waterfall in your landscape. You will notice that the selected waterfall will have a white outline, with a green square at the upper right corner, as well as a green circle to the left of it. Left click and drag above the green circle, to rotate the waterfall so it faces the desired direction. To scale the waterfall, Left click and drag above the green square. 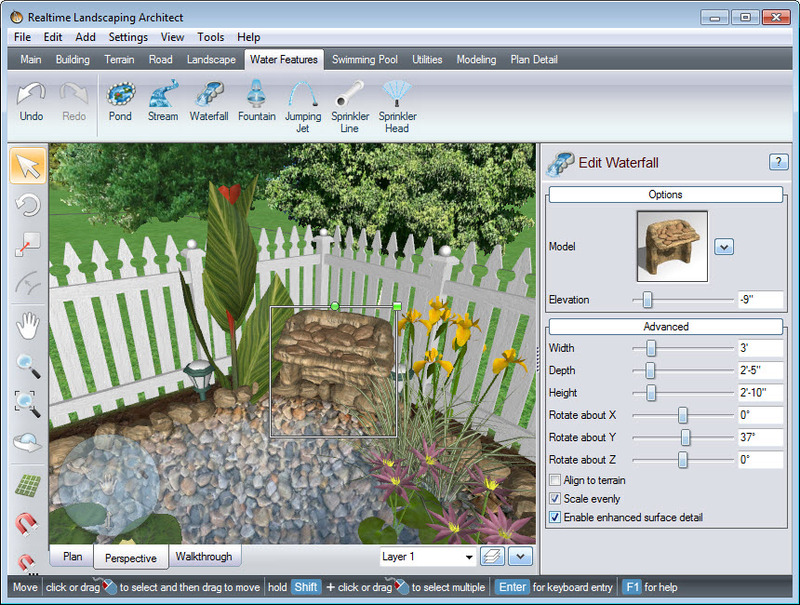 You have now completed adding a waterfall using our landscaping software.